We here at Robin Hood Animal Rescue believe that dogs and cats are to be loved as you would a child. They are so much like children. The unconditional love they have for us is beyond comparison. They are so much more than a watch dog, mouse catcher or a family pet to keep outside. If you believe the same as we do, please check out our wonderful fosters. Perhaps, that special one to fill your heart is waiting for you. Adopting a pet is a wonderful deed—you’ll help a dog or cat in need while at the same time find a devoted animal companion. It’s also a long-term commitment and not to be taken lightly. You’ll need to be prepared to provide care, food, training and attention— be ready to deal with a pet that may shed on or chew or scratch furniture—and be able to afford years of veterinary costs. What you’ll receive in return is priceless and immeasurable: the gift of unconditional love. Fees are payable by cash, personal or business check with valid driver’s license or online via credit card or PayPal (with an additional charge of 10% to cover bank charges). EVERY pet we offer for adoption (including kittens and puppies) has already been spayed or neutered and given age-appropriate vaccines and screenings. All adoption fees help in covering the costs of spay/neutering, FIV/leukemia testing (cats), shots, micro-chipping and medical, if needed. Adopters must read and sign an agreement with RHAR. Adopters must commit to loving and caring for the pet’s entire life. Adopters must return the pet to RHAR if for any reason, they can no longer care for the pet. Adopters must be at least 18 years of age. Adopters who live in apartments, condos or townhouses, mobilehome parks are responsible for checking with their condo/townhouse rules, regulations, or bylaws. Think it through very carefully. Do you have the time, energy and resources to devote to a new or additional pet? Are you committed to caring for the pet for the next 10-15 years? 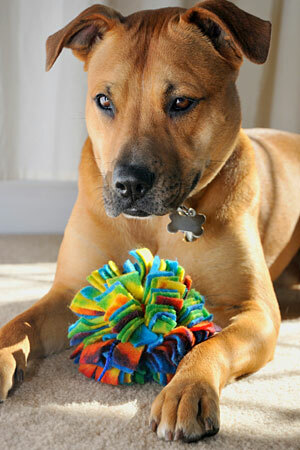 Do you know what kind of pet would be best for your household?. We can help you determine that. If you have an interest in one of our fosters, but you are not sure if it would be a good match please call Bob at (623) 680-1170. Browse our website to see all awaiting adoption. To request to do a meet and greet with any particular dogs or cats please give us a call. Each foster’s bio has a contact phone number. Check on the pet at any time to ensure its well-being. Remove the pet from the home if any conditions of the adoption contract have been violated or, if in the opinion of RHAR, the environment is unsafe. If at any time you cannot keep your pet, you must return it to RHAR and not to any other individual, another animal rescue group or shelter. WE HAVE SO MANY WONDERFUL DOGS AND CATS WAITING TO BELONG TO THAT SPECIAL FAMILY.